The US Open Tennis Championship is one of the biggest tennis events in the world every year. Millions of avid tennis players and fans will be watching this prestigious tournament. While the grueling battles for every point can be awe-inspiring, they are also very hard on the body, spine and nervous system. It’s no wonder that many of the top tennis players utilize chiropractic care to keep them fit, healthy and on the court. Venus Williams, a seven-time Grand Slam singles champion has said, “Chiropractic gives me the flexibility I need to keep me in the game.” Andy Murray, Roger Federer and Novak Djokovic have also been known to utilize chiropractic care for faster healing, staying fit and performing at their highest level. In fact, top athletes in many sports rely on chiropractic care including Tom Brady, LeBron James, and Kerry Walsh. Tennis is a great game for people of all ages to play. Kids, teenagers, adults, and senior citizens all enjoy being on the court. The sport brings friends, families, and even countries together, nurtures individual responsibility, encourages teamwork, and promotes physical, mental and social well-being. And best of all, tennis is fun. As captain of the men’s tennis teams at both Fullerton High School and Cal State University at Fullerton, Dr. Kevin Joe was so excited about how chiropractic care helped him in his athletic career that he chose to become a chiropractor. Lifestyle Care helps athletes by removing spinal subluxations, keeping the body functioning optimally. Chiropractic adjustments balance the spine and nervous system which can improve coordination and prevent injuries. Unfortunately, too many athletes, tennis players included, suffer from imbalances and nagging injuries that affect their health and weaken performance. For the amateur or weekend player, it can take away from the enjoyment of the game. 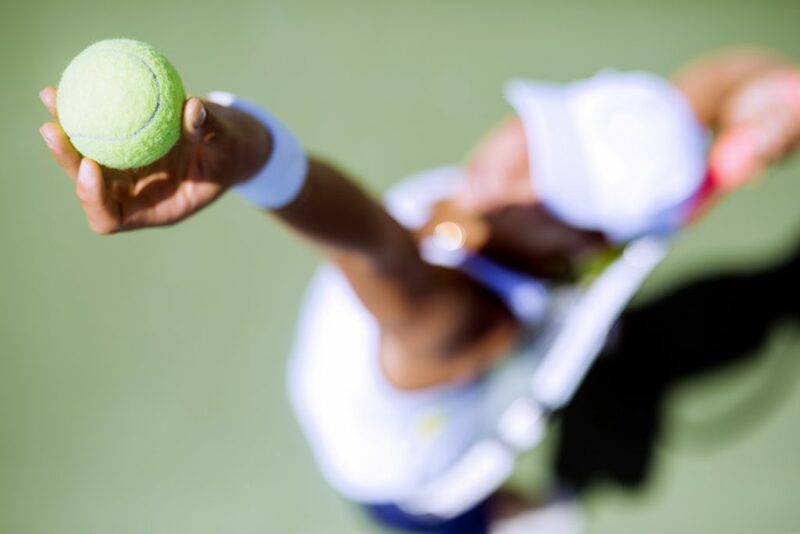 In addition to chiropractic care, you can improve your tennis game by strengthening your Core. There is a Core Strength and Stability Test in The 100 Year Lifestyle Workout book that builds your Core Strength in just 2 ½ minutes a day. You can download this test from www.100yearlifestyle.com or by asking a member or our staff for a copy. Don’t wait for a crisis to make your health a priority. Make the Critical Transition to Lifestyle Care and take your health, and your game, to higher levels.